At Civic Yearbooks, we know that your time is precious. We therefore ensure that the process of creating your perfect school yearbook is straightforward and easy. 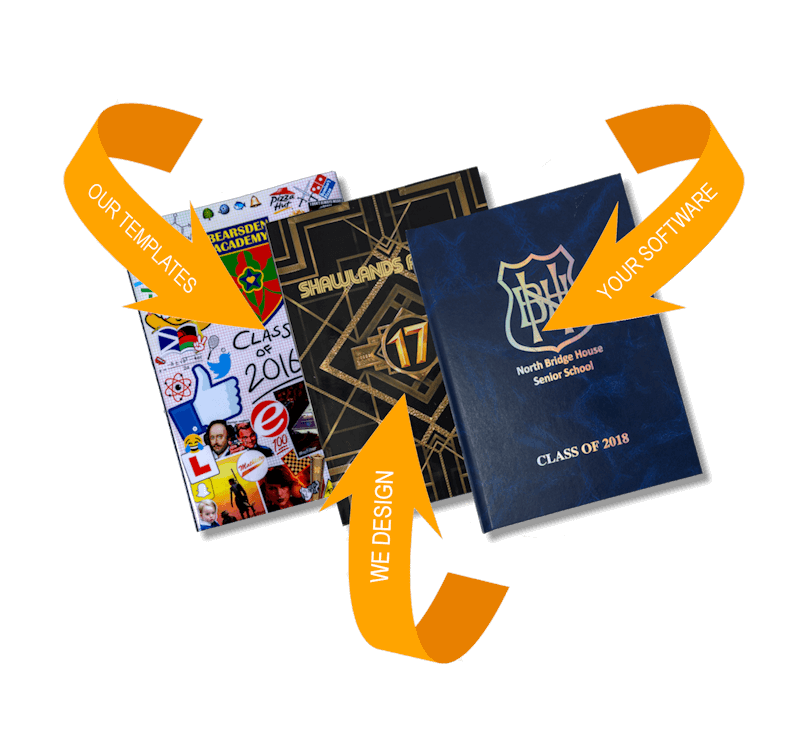 We provide 3 different ways in which you can create your yearbooks. Simply choose the one that works best for you! 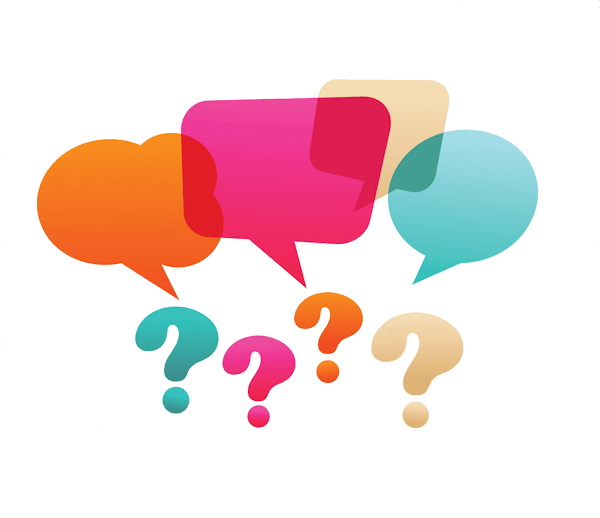 Whichever option you choose, we provide unlimited telephone and email support! We will provide you with lots of templates, backgrounds and page layouts which you can use, saving you loads of time. Using the templates will also ensure your book looks highly professional. The yearbook pages are also easily customised, so whether you want to change a template slightly or even quite a lot, this is really simple to do. 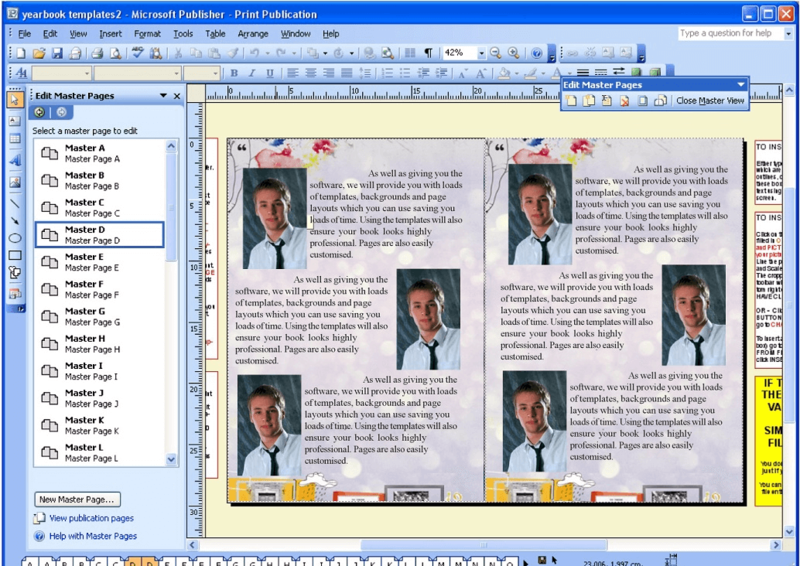 Our templates are designed for Microsoft Publisher. This means there is no need to learn new software PLUS multiple people can work on the yearbook pages at the same time! Either type directly into the text box, or copy and paste into the boxes from Word. You can format your text using the toolbar at the top of the screen. Go to the page you want to work on and right click on the picture. Then go to CHANGE picture. Do the same thing to insert backgrounds. If you would prefer to use your own software to produce your book - no problem! Just check with us first that it will be suitable. Word, Publisher, Adobe Photoshop, InDesign, Serif PagePlus, Drawplus, & Affinity files are all fine. Anything that can create a PDF file is fine actually. 1. Create a folder for each page in your book. 2. In each folder put the text for that page typed in Microsoft Word, as well as all the pictures for that page, saved in a digital format (JPEGs). 3. 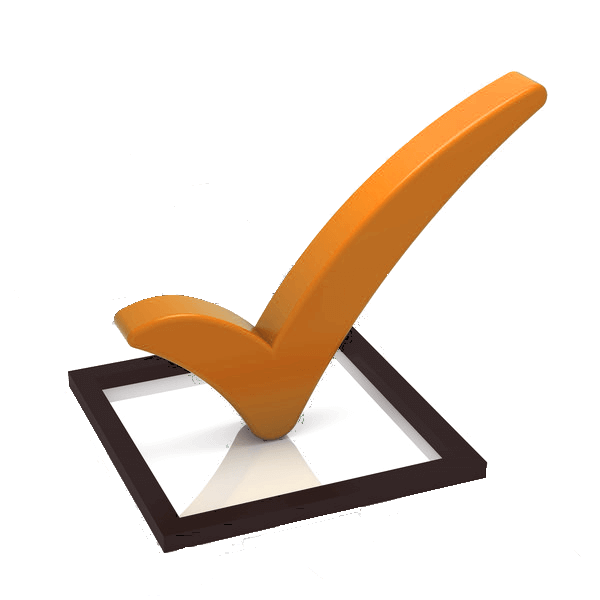 We design your pages for you and send you a draft copy for checking.